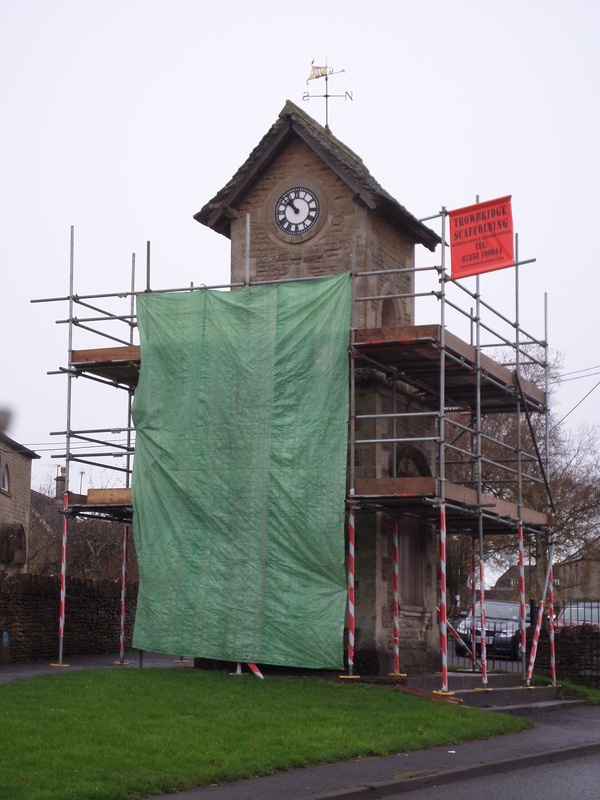 The aim of the refurbishment is to improve and preserve the fabric of the tower and memorial, with a recommendation that any work protects the integrity of the building The priority is on preservation and not cleaning .A specification has been drawn up following the Parish Council’s consultation with Atworth History Group, Wiltshire Council’s conservation officers, War Memorial Trust and local stonemasons. The work involves some cleaning and re-pointing only where necessary, re-cutting and re-painting lettering on plaques, and also preservation and restoration of some Bath stone surrounds, carvings and inscriptions. In addition the undersides of the roof boards will be re-coated. The work which commenced 12th November, is being carried out by Bloomfield Masons of Trowbridge who have superb references and an excellent reputation for this type of work.